Qudini works with a number of opticians brand to improve the experience for customers entering the store for assistance from an advisor or to collect their glasses. Our opticians client’s stores regularly experience high footfall, with customers wishing to use its professional optometrist services or to purchase new glasses, contact lenses or hearing aids. This demand can lead to lengthy queues for service, which (without a seamless way to manage them) could lead to customers being missed or served in the wrong order. This, in turn, could impact the customer experience and lead to walk outs. Previously, the opticians stores used clipboards to manage waiting customers. This was challenging to manage and failed to produce any data on the customer experience. The Opticians Retailer have deployed Qudini’s Walk-in Management platform across a number of their stores to improve the customer experience. Customers looking for advice on the client’s eyewear range are now able to give their name to a concierge using the Qudini host app on a tablet device. The concierge will then support their waiting experience and guide the right staff member to the customer when their turn arises. Customers who have had eye tests are also added to the queue management system, in order to view the opticians retailer’s glasses range, with personalised assistance. In order to offer a premium after-sales service, stores also have a separate digital queue for those customers returning to pick up glasses, which may have been left for lens fittings or repairs. Stores and franchise owners can access the Qudini data dashboards and email reports to truly understand their customer needs, behaviours and colleague operations, enabling improved planning and better commercial decisions. Qudini enables colleagues to: plan their day more efficiently, have better visibility of real-time activities, and access historic performance data. All this helps colleagues to become more efficient and to serve more customers in less time. Qudini automatically calculates waiting times and enables colleagues to focus on service. This has reduced overall customer waiting times and created a better customer experience. 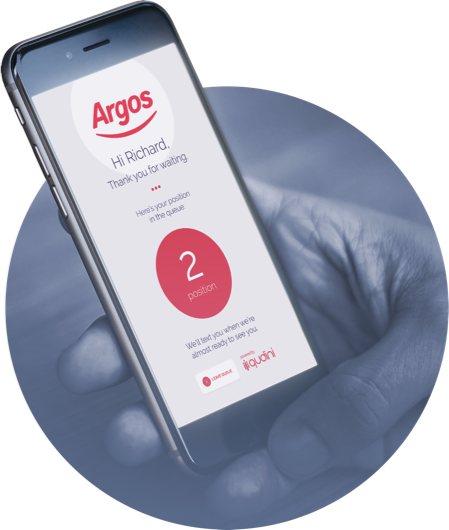 Increased colleague efficiency enables stores to gain more colleague time, which can be spent undertaking other tasks or serving more customers. The concierge is able to better match customers with the most knowledgeable colleagues for their needs. Our client is able to convert more customers and build strong long-lasting customer relationships. Qudini replaces the opticical stores’ need for clipboards and pen, and provides customers with a more informed waiting experience, which they are more likely to stay in store for. One store reports a 33% increase in average transaction value due to the improved customer experience and service.